**Fall Is Saltwater Fishing Season at Carolina Beach! 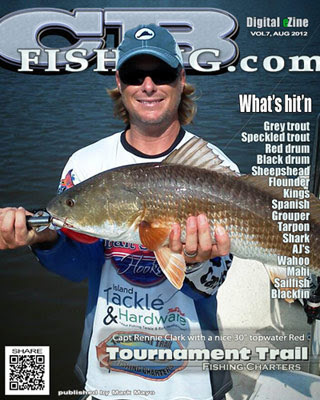 ** ========== It’s time to head to the beach to catch some serious fish. Whether charter fishing, surf fishing, pier fishing or river bank fishing has hooked your attention, one thing’s for sure: as the water cools, the fishing will only get better! To find out what’s biting now and where to go, visit [CB Fishing](http://www.cbfishing.com/). The Beacon House Inn has plenty of refrigerator space for your supplies & catch of the day – and be sure to check out our great Fall packages! **Spectacular Savings With Fall Packages** ========== Fall Fishing Book your 2 night stay for your fishing weekend at the Beacon House, and get $25 off now and a $25 Beacon Bucks credit good toward a future stay. Plus, we will pack an early morning breakfast “to go” so you can catch the big one! Valid on stays of two nights or more when staying before October 31st, 2012. Midweek Getaway The kids are in school, the crowds are gone, but it’s still summer weather in Carolina Beach! Check in Sunday – Thursday, and take $25 off your stay now and receive a $25 Beacon Bucks credit good toward a future stay. Valid on midweek stays of two nights or more when staying before October 31st, 2012. Also, look forward to off season room rates beginning October 1st! Call 910.458.6244 to reserve. This entry was posted in Carolina Beach, Fall Events, Family Friendly, Fishing, Packages, The Beacon House by admin. Bookmark the permalink.